A Roman disc brooch. The design is of a six circles or lobes, joined by looping lines, around a central, giving the effect of a flower. The enamelled field may have been red but is now brown. 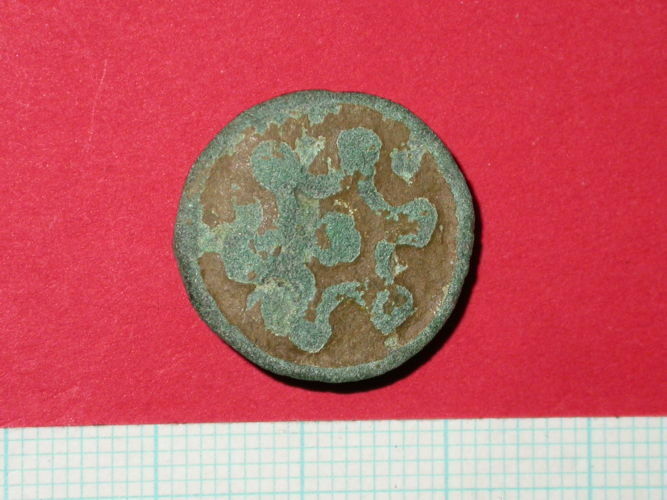 On the reverse are the remains of the copper alloy spring and iron hinge bar.